With more than 1000 rocky crags, islets and islands – 48 of which are inhabited – and almost 6000km of Adriatic Sea coastline, Croatia is one of Europe's best destinations for an island escape. Easily reached by car ferry or speedy catamaran from the Dalmatian port city of Split, Hvar is one of Croatia's tourism favourites. Superlatives include being the sunniest place in the country – annual averages top more than 2,700 sunshine hours per year – and it's also the most chic and luxurious island along Croatia's serrated Adriatic coastline. Elegant boutique hotels, classy beach clubs and stylish restaurants all attract Europe's A-listers, and it’s just a short journey from the island’s iconic bars and clubs like Carpe Diem and Hula-Hula. 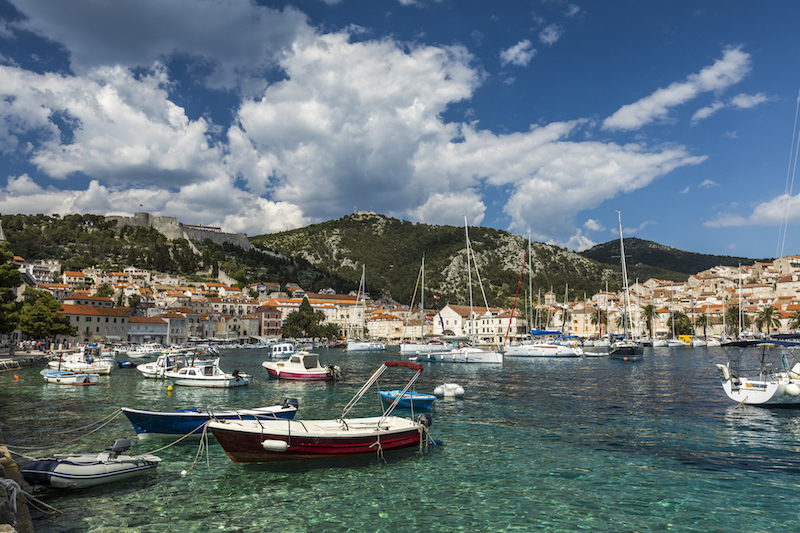 Also, courtesy of the island's rolling fields of lavender and occasional plantings of rosemary and heather, Hvar is quite possibly the Mediterranean's most pleasantly aromatic island. 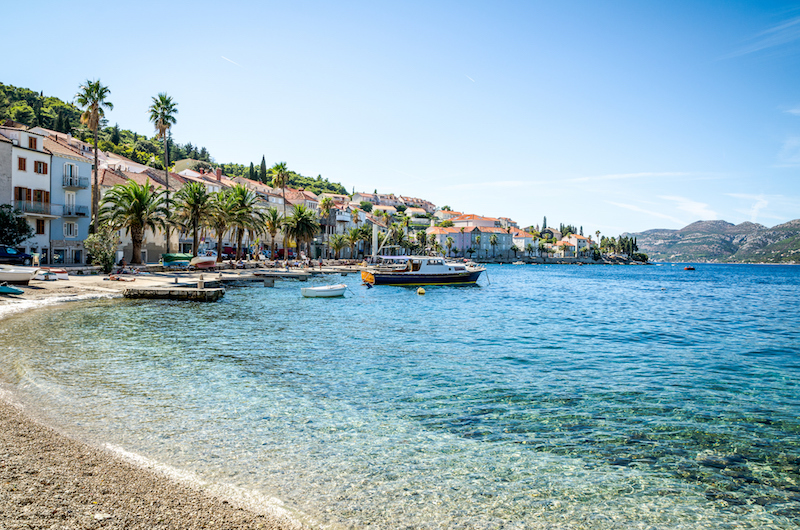 One of Croatia's bigger islands (and the sixth largest in all of the Adriatic), Korcula is a sleepy blend of a historic Old Town and laid-back villages edged by vineyards and olive groves. Two grape varieties, grk and posip, are indigenous to the island, and are harnessed by local winemakers for some of Croatia's best flinty and fruity white wines. It's a centuries-old skill that's also been influential in New Zealand as a few of our country's winemaking families can trace their heritage back to the islands of Croatia's Dalmatian Coast. Reputedly, another of Korcula's well-travelled sons was legendary explorer Marco Polo. The Italian city of Venice also claims him as their own, so consider the Korcula vs. Venice debate as you tuck into grilled octopus or roast goat at Korcula's excellent konobas (family-owned restaurants). Famous for its gleaming white stone used in historic buildings like Diocletian's Palace in nearby Split and the White House in Washington DC, Brac is another of Croatia's bigger islands. When the island's vineyards were decimated by disease in the early 20th century, many Brac locals emigrated to countries across the world, with some families forming the backbone of Croatian communities in the gum-fields of New Zealand's Northland. 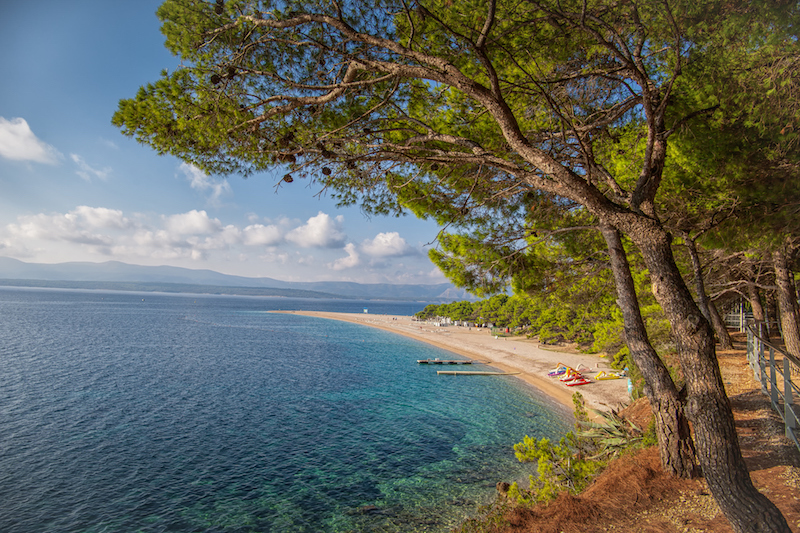 In a new century, tourism is now Brac's main focus with visitors drawn to the stone houses and meandering laneways of the town of Bol, and to lazy days on the beach at nearby Zlatni Rat. Extending out into a cobalt Adriatic Sea, the beach's slender finger of land is Croatia's most famous slice of sand. Used as a military base for the Yugoslav National Army up to 1989, Vis was off limits to both Croatian locals and foreign visitors for many years. It's only in recent decades Vis’ potential as a tourist destination’s been encouraged. And while it's not untouched by development, the island's more remote location south of Brac means its ambience remains more authentic and natural. The island's two compact Old Towns are surprisingly different, with the more genteel combination of heritage townhouses and waterfront esplanades in Vis contrasting with the bohemian, fishing port vibe of Komiza. The rivalry between Vis and Komiza is both passionate and good-natured, and between the two settlements, restaurants and farmstays in the island's hinterland are reinforcing Vis as a destination for savvy foodie travellers. Long, slender and located just northwest of tourist hotspot Dubrovnik, Mljet has been attracting visitors for many centuries. Ancient Greek sailors used the island to recharge and restock their ships, taking advantage of Mljet's plentiful fresh water and giving the island its Greek name 'Melita', meaning honey. Mljet is still a welcoming place, but it’s one of Croatia's quietest and least developed islands. To the south, Mljet is a relaxed collection of villages and vineyards, while the Mljet National Park covers the island's north. 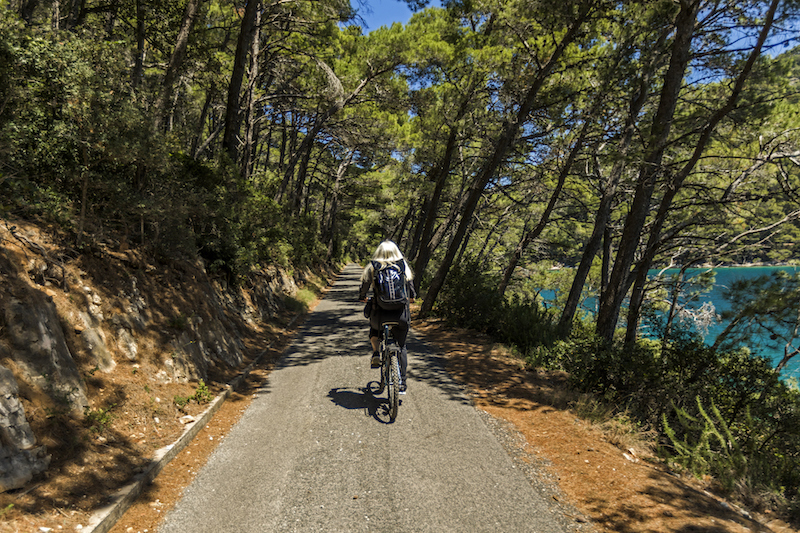 Cars are forbidden in the park so leisurely walking and cycling are the only options to explore an island landscape full of pine forests and spectacular saltwater lakes.